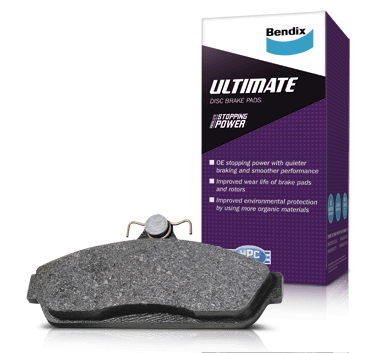 Bendix Ultimate brake pads are specially formulated to offer high friction, high temperature tolerance and a measurably better performance across a range of high performance braking conditions. They have exceptional stopping power with shorter stopping distances and resist brake fade at high temperatures. Choose Bendix Ultimate for supreme braking confidence for sports, performance and prestige vehicles. Is Bendix Ultimate the Right choice for your car? To achieve the best possible braking performance and stopping distance, it’s important to match the driving style and the vehicle with the right brake pad formulation. You can select and fit the right Bendix brake pad for virtually every application with absolute confidence.